Christy Anne Bermensolo, 89, of Mountain Home, passed away Thursday, April 4, 2019 at a Boise Care Center. A funeral service will be held on Friday, April 12, 2019 at 11:00 a.m. at Rost Funeral Home, McMurtrey Chapel with burial to follow at Mountain View Cemetery, in Mtn Home. Christy was born to E. Fred Sargent and Mary L. Sargent in Mtn. View, Wyoming. She attended schools in Mtn. View, Wyoming and Mink Creek, Preston, and Weiser, Idaho. 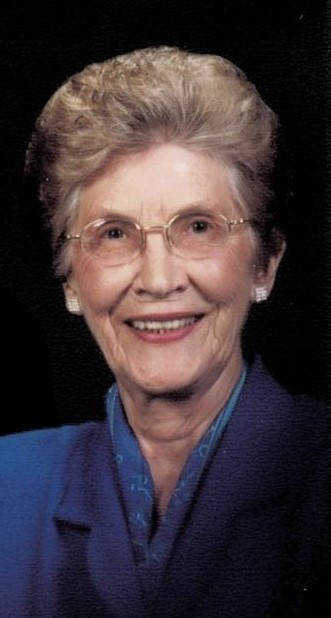 She graduated from Weiser High School in 1947 and entered the University of Idaho studying business/education. While there, she met Claude Bermensolo and they married in 1950. During the summers of her college years, Christy worked in the Payette National Forest Service office in McCall, Idaho and worked on campus for the Dean of Forestry and the U of I registrar and the Soil Conservation in Weiser, Idaho. After leaving the U of I in 1951, she and Claude lived for a short time in Boise. After moving to Mountain Home, she worked in her husband's real estate office, Mtn. Home Agency and later spent her time as a homemaker and helped in community organizations. She raised four children, sons Fred and Claude M. and daughters, Diana and Elizabeth and was active in their education, interests and activities. She loved her children and their families. Being a grandmother brought her great joy. She looked so forward to having the grandchildren for a sleepover or a weeks stay during the summer. Christy’s yard was a work in progress. Spring was always “right around the corner” and the continued planting and transplanting was what kept her busy, which she learned from her mother and passed on to her children. Her door was always open……to her neighbors and close friends for an impromptu barbecue, to her children who needed to "come home" and always her traveling relatives if ever they needed a warm and cozy place to spend the night. She is survived by her sons, Fred (Kim), Claude (Karen) and her daughters Diana (Bob) and Elizabeth and 12 grandchildren, 19 great-grandchildren and 1 great great grandson, whom she loved dearly. Her brother John Sargent, and many nieces and nephews. Preceding her in death, her husband Claude J., her parents, brothers Ted and Bob and son-in-law Acey Lott. The family would like to thank Brookdale and Horizon Hospice for their tender, loving care.